A series of interviews with stakeholders and focus groups of key personnel in schools mark the commencement of a wide-ranging review of IPS, required as a part of the IPS Framework developed in 2016. The Department of Education has contracted (through tender) PotentialPlus Solutions to conduct the review before the end of July, a relatively short timeline. Lynne Foley OAM, the principal investigator for this review, also acted as consultant to the 2015 review and she has a detailed knowledge of the issues raised both in support of and opposing IPS through that process. initiative strengths and areas for improvement to inform future planning and improvement in the state school system. As is usual practice for the QTU, we consulted a key group of representatives, Principal Union Representatives and the members of the QTU Education Leaders Committee for our first engagement with the review. Members from both IPS and non-IPS schools provided feedback through this process. The QTU has a long-standing position of opposing the operation of IPS beyond the end of the funding agreement with the current federal government. That agreement expired at the end of 2017, and the full cost of the IPS initiative, some $13 million a year, is now being borne by the Queensland Government. As autonomy of a managerial nature, as embodied in IPS, stands condemned around the world, this reflection on the current program in Queensland is timely. Recent research from the troubled Western Australian IPS scheme will also inform the Queensland review. 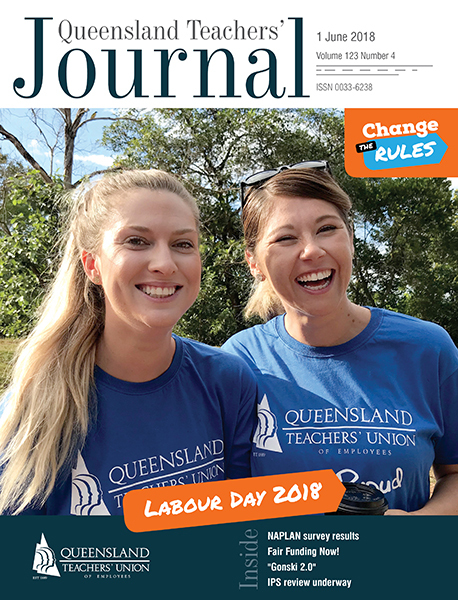 The QTU will carefully consider the outcomes of the Queensland IPS Review and further consult with members before formulating a response to government.